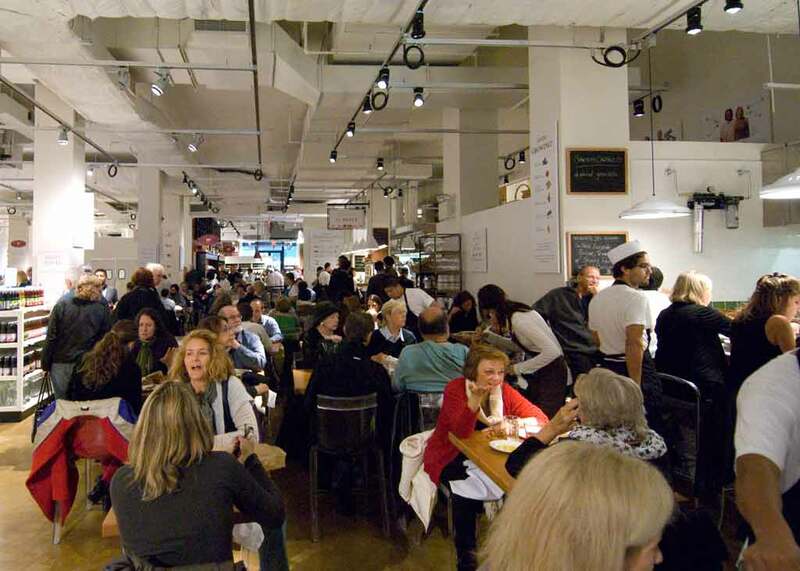 My first visit to Eataly was overwhelming to the senses, underwhelming in its food. I met up with my friends Steph and Mo for lunch, and found myself conflicted. I was amazed at the selection of fresh produce — I’ve never seen sea beans in real life — and confused by the absence of any kind of order to the madness. Was that the line for pizza or to be seated for pizza? Are those the same thing? I ended up grabbing a mushroom panino from the cafe end of Eataly, and we ate lunch outside near Madison Square Park after being unable to find a place to eat in the dedicated seating area. The sandwich was good, but not great. Certainly not representative of a food market that reportedly cost eight figures. I really wanted to go back, to see if I could get a handle on the place. On my second visit, just a few weeks later, I arrived a bit earlier — there were still crowds, but it wasn’t as wild. I sat down at the Verdure counter, which features an all vegetarian (and some vegan) menu, and suddenly found myself in another world entirely. This could have been a small restaurant, one that I would eat at every single day if I worked in the area. While I was eating, another customer came and sat down next to me. The server behind the counter greeted him warmly: “Welcome back, sir!” This when Eataly had been open for less than two months. 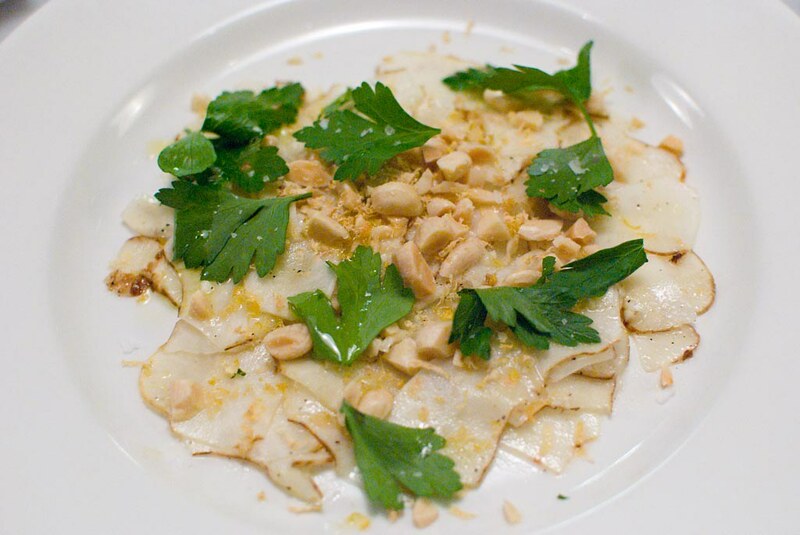 Although I could eat my way through the entire menu, I went with one of the specials: sunchoke carpaccio. 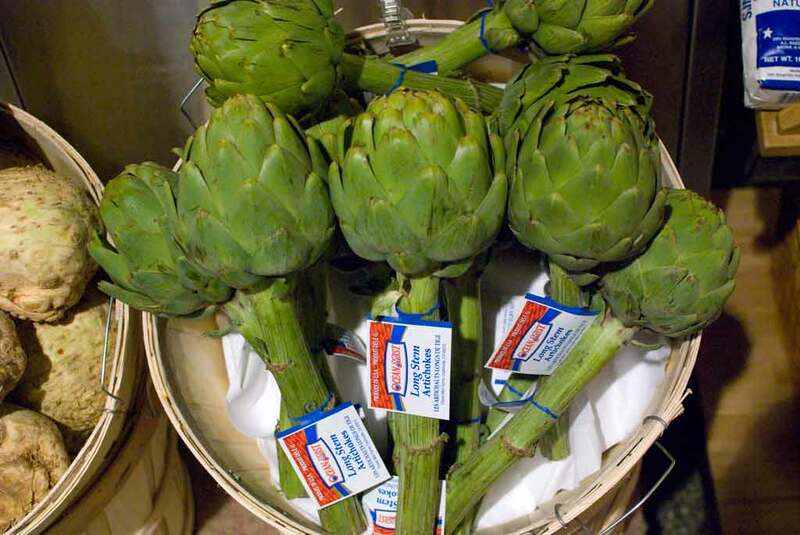 I actually had my first sunchoke (aka Jersualem artichoke) at another Mario Batali venture — Otto — years ago, before this blog existed, in a salad. At the Verdure counter they sliced them thin, and topped them with an almond gremolata and dressed them with a highly acidic vinaigrette (definitely lemon juice, maybe some vinegar as well) . 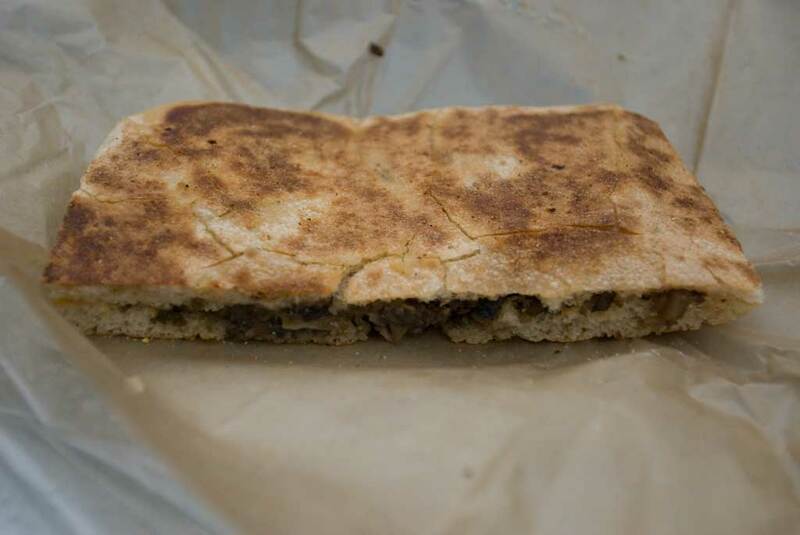 The result was magic — nutty, salty, sweet, with the bite of the acid and the horseradish rounding everything out. I don’t know if it was quite worth the $12 price tag, but it was certainly delicious. I’d like to go back to Eataly, just to see what interesting produce they might have, or what specials might be on offer at the gelato station. Although I was initially impressed with the selection of cheeses and pastas, I can find great examples of both of those much closer to where I live. Sure, there’s something to be said for the accumulation of all of these Italian products in one place, but that’s not enough for me. 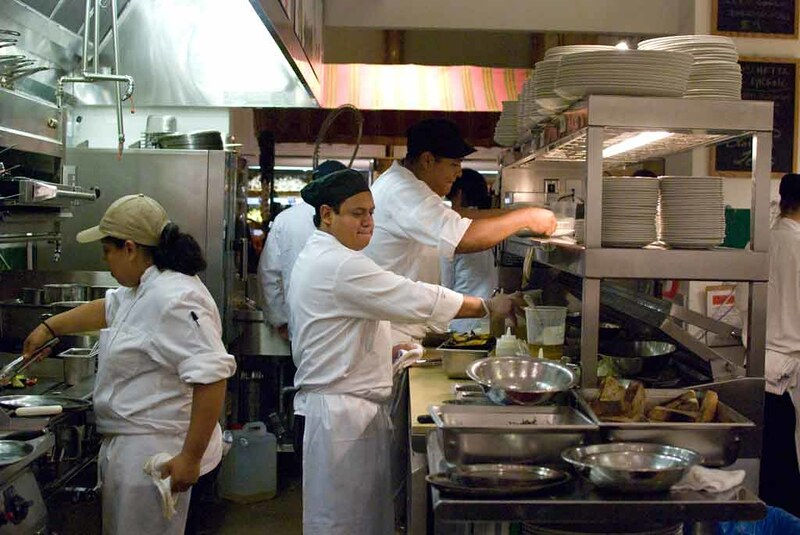 What will bring me back is the amazing menu at the Verdure counter. There’s only one question — who wants to brave the crowds and meet me for lunch?